At one of the narrowest parts of the Rhine the Taunus falls 60% down into the valley, squeezing the river between breath-taking steep mountain sides. The sun's rays strike with full power on rich mineral slate and quartz soils – can you think of a better place for creating Riesling? The wine maturation process takes place in three historical cellar vaults, which have been dug nearly a hundred meters deep into the cliff. State of the art cellar technology, the optimum maturation temperature for our cellars and dedication to steep-slope viticulture are the basis for our vintage wines. Most Lorch soils are unique, which is reflected in our wines. We manage 15 hectares of steep slope vineyards with arduous manual labour, 80 % of whose area is planted with Riesling grapes. We have devoted another 10 % of our vineyards to Pinot Noir, which in our climatic conditions matures into a unique red wine. Pinot Blanc, Sauvignon Blanc and Gewürztraminer divide up the remaining area, setting the tone for our „Boogie“ white wine cuveé. You can enjoy the interplay of regional delicacies and our wine in our vineyard estate tavern. 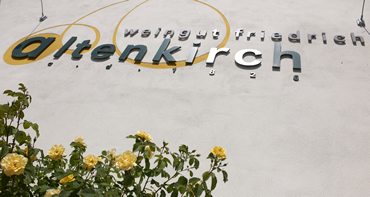 The Location (Gutsausschank) can be rented for wine tastings and festivities of every kinds. Please contact us! Requests by phone or email. For more news go to our What's new.